and an emphasis on your satisfaction. 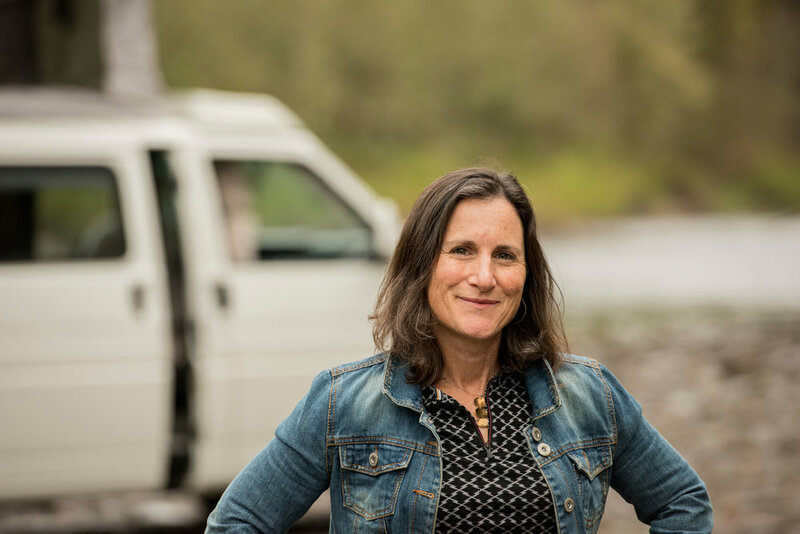 GoCamp was founded in 2017 by Deborah Kane with one goal in mind: make it easy for more people to get out and camp. We know we're on track for sure. Five star reviews from our customers suggest people are out there having the time of their lives! I love to camp, hike, mountain bike, and most of all, whitewater kayak. In early 2017 after a successful career in public service that had me flying back and forth across the country nearly constantly, I decided I didn’t want to get on another airplane for a very long time. I am, however, always interested in hitting the road for a camping trip. See our stories page for more about me and my motivation for starting GoCamp. You can also read about us in Oregon Business Magazine or 1859 Oregon’s Magazine. Most important, please know that my singular focus, and that of my team, is on making sure you have the time of your life in a GoCamp camper van. Never hesitate to reach out if we can answer a question, help you book a trip, or otherwise be of service. Camper Club members meet strict safety and quality standards in order to participate in GoCamp's platform. Individual owners of well-maintained camper vans, Camper Club members earn a little extra money when they aren't using their vans, and GoCamp customers get an expanded selection of camper vans to choose from. GoCamp started in Portland, Oregon and then expanded to California and Boise, Idaho. Where should we go next? Check back for additional pickup locations, or please be in touch if you own a great van and would like to start listing it on GoCamp. Yes. If you are awesome and you know it, we'd probably love to collaborate with you on a project. We've been fortunate to work with a growing list of cool brands, great photographers, inspired film makers, and generally creative people in this space we call #vanlife (an easy, though imperfect shorthand). Please be in touch if you've got an idea. If you would like to interview or feature GoCamp please feel free to contact us!